A Cozy New Book, the Book Fair, and a Rainbow…. I’ve long admired Cynthia Rylant’s work, particularly because she does everything well: picture books, early chapter books, middle grade novels, and poetry. 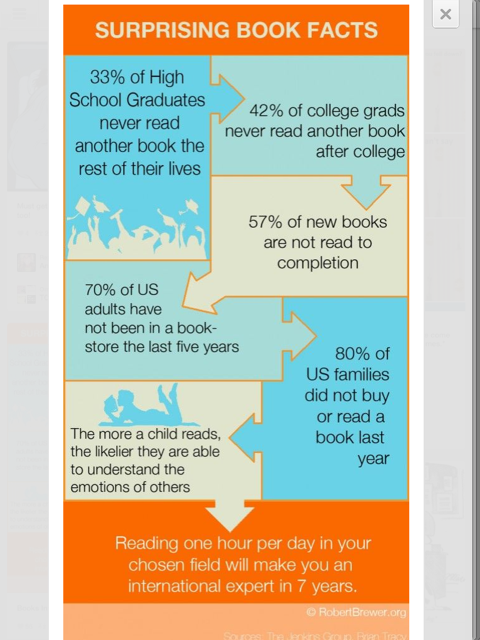 Think of how many kids have learned to read with Henry and Mudge or Mr. Putter and Tabby. 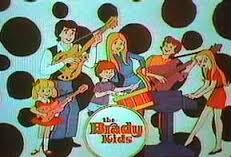 Her picture books, especially The Great Gracie Chase and The Relatives Came are crowd-pleasing read alouds. Rylant also won the 1993 Newbery Medal for Missing May, a quiet novel about a young girl who discovers that love is more powerful than grief. 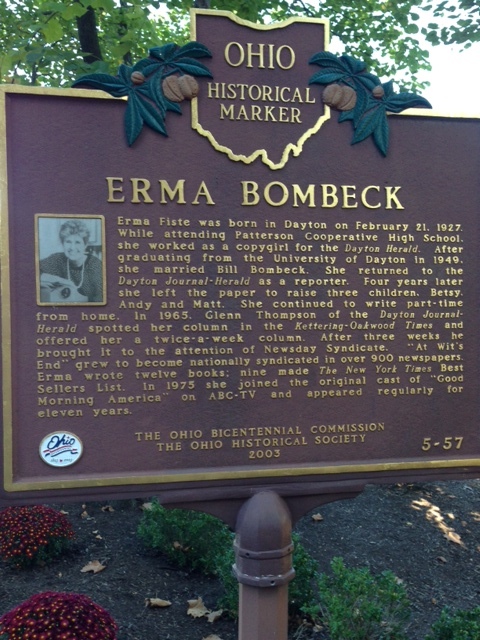 Her books are gifts to children, parents, and teachers. When I read that Rylant’s new middle grade novel, Rosetown, was being published this spring, I began poking around for an advanced reading copy – and I was finally able to read it yesterday. Once again, she has written a gem. Rosetown is the story of Flora, a ten-year-old girl, who is experiencing lots of changes: her beloved dog has died, her parents have recently separated, and she is starting fourth grade. The place where she’s happiest is in a purple chair in the used bookstore where her mother works. There, Flora, can relax and curl up with an “extra-vintage” story. She also enjoys spending time with her close friend, Nessy, and Yury, a new friend from Ukraine. Although Flora is facing challenges, her parents are loving and supportive, and starting with the arrival of a new cat, things begin to turn around. Rylant is especially good at taking a simple premise and making it meaningful. She gently leads the reader like a wise and beloved guide and helps them navigate change. Taken together, from Mr. Putter to the Cobble Street Cousins, Rylant always keeps her focus on what’s most important: family and friends. 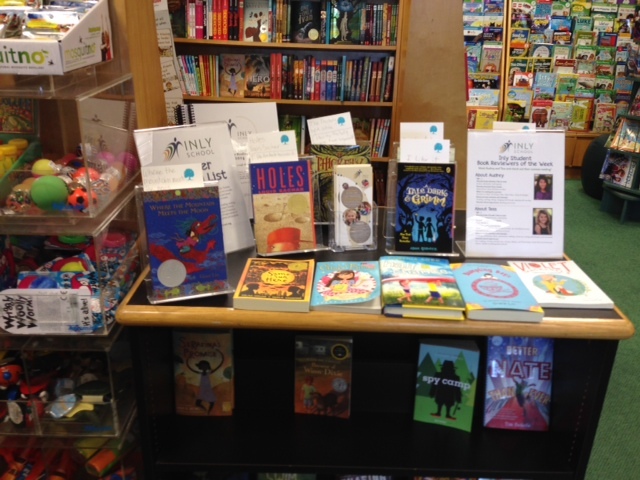 Rosetown won’t be in stores until May 8 so it was not available to purchase during last week’s Inly book fair, but many wonderful books were – thanks to our partnership with our own beloved bookstore, Buttonwood Books and Toys. The big sellers were: The Bad Guys, Dory Fantasmagory, Lucky Broken Girl, Like Vanessa – and brightly colored squishies. I knew squishies were popular – and it’s truly hard to resist “squishing” them, but we had a run on penguins and sleeping kittens…. Every year, usually during the spring book fair, I notice a few middle school kids who show some interest in reading romance novels. I watch them scan the room to see if anyone is looking before picking up a romance and peeking through it – and my heart goes out to them. Of course, they’re curious! When I was their age, I read Harlequin romance novels at my grandmother’s house and went through an obsession with Maureen Daly’s novel, Seventeenth Summer. I can easily recall a scene early in the book where Jack arrives at Angie’s house to see if her family wants to buy any baked goods. She’s working in the garden. Here’s the passage from my own copy of the book which is pictured above. Now, it wasn’t that I was shy or anything, but it’s awkward when a boy has on a clean shirt and his hair is combed and your hands are all muddy and you’re in your bare feet. It can be challenging, though, to recommend romance novels to middle school students in 2017. The Young Adult section at the local bookstore has lots of choices, but much of the content is too explicit to be recommended by a teacher. And middle school kids deserve books that represent what they are feeling: curious, sometimes awkward, and maybe excited about a new relationship but one with respectful boundaries. Thinking about new books for the middle school summer reading list, I found Literally by Lucy Keating, a romance novel with an intriguing premise. The main character, Annabelle, has a seemingly perfect life in Los Angeles. She lives in a great house, has lots of friends, and takes pride in her ability to keep everything under control. But then an author, Lucy Keating, speaks to Annabelle’s creative writing class, and things get a little strange. Lucy Keating begins describing the main character of her new novel, and it’s Annabelle! She describes Annabelle’s life perfectly and even knows that her parents are going through a stressful time. Understandably, it creeps Annabelle out and makes her wonder if she is really in charge or if someone else is “writing the plot.” The real author, Lucy Keating, clearly had fun playing with the structure of fiction and having a little fun with how YA novels work. There’s also a love triangle, and one of the boys was written just for Annabelle! Yesterday, in honor of Independent Bookstore Day, I went to an author panel of middle grade writers, sponsored by my favorite bookstore, Buttonwood Books and Toys in Cohasset. A good line-up: Victoria Coe, author of Fenway and Hattie; Bridget Hodder, author of The Rat Prince; Lee Gjertsen Malone, author of The Last Boy at St. Edith’s; Erin Petti, author of The Peculiar Haunting of Thelma Bee; Laura Shovan, the author of The Last Fifth Grade of Emerson Elementary; and Monica Tesler, author of the Bounders series. Monica’s first two sic-fi space adventures, Earth Force Rising and The Tundra Trials are in bookstores and libraries now, and there are three more to go in her series. Yesterday she brought the beautiful cover of her third book, The Forgotten Shrine, which will be published in early December. I left the event with lots of new books to order for the school library and a few new ones on my “to be read” list. One of my students spends lots of time at a local farm and took these awesome pictures of new lambs. There’s always a black sheep, isn’t there? Independent Bookstore Day – and the Glories of the 70s! 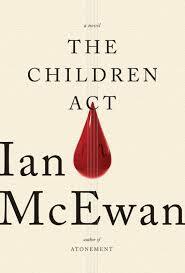 This afternoon I was in a large chain bookstore and noticed that The Children Act by Ian McEwan is now in paperback. McEwan’s novel is on my summer “to read” list, and so I was tempted to buy it when just in the nick of time…..I remembered that tomorrow is Independent Bookstore Day! I pulled myself back from the brink, waited until I got back home, and purchased it at my favorite local independent bookstore – Buttonwood Books and Toys in Cohasset. 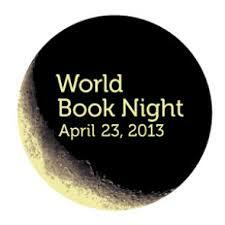 In the spirit of “Buy It Here, Keep Us Here,” support your local independent bookstore tomorrow – and every day! There’s a bittersweet tone to Kaplan’s anecdotes, but it captures the decade. 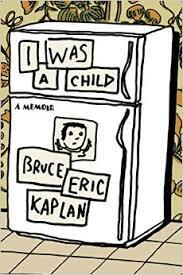 Kaplan, a New Yorker cartoonist, is a master of mixing humor and melancholy – my favorite combination. 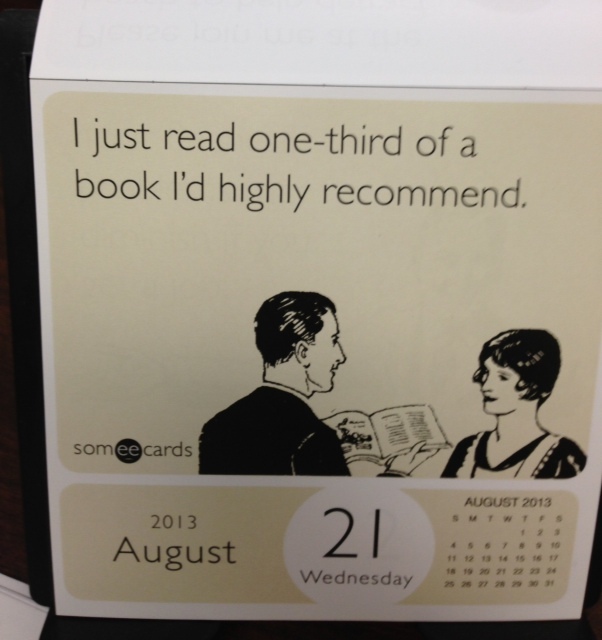 Happy Independent Bookstore Shopping – and have a good weekend…. Two Charming Picture Books – and a Special Display! I stopped by school yesterday to look at the mail and see if any boxes had arrived. Late summer boxes are the best! Each of them contains new books for the year ahead and as I take each one out, I’m usually thinking about the student who will want to read it first – or how much our younger students will enjoy hearing the story during library visits. Ninja! by Arree Chung is the funny story of a little boy on an important mission: to capture his sister’s milk and cookies. Chung uses panels – comic book style – to follow the adventures of the Ninja who faces obstacles around his house, including his napping father, to accomplish his task. 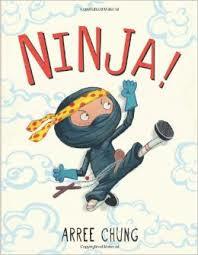 Of course, his sister is not too happy when her brother drinks the milk from her “sacred cup!” For a ninja-themed story time, pair this book with Nighttime Ninja by Barbara DaCosta and Ed Young – the story of another stealthy ninja on a similar mission. 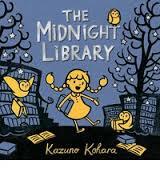 The Midnight Library by Kazuno Kohara is going to be hard to check-out. I want to put it on display in the library and look at it every day! The story of a library open only at night, this is one of my favorites of 2014 – the perfect book to read in your pajamas. The librarian in charge of this magical place, the “little librarian,” is assisted by three owls. Together they help the library’s animal patrons find just the right book to send them into dreamland, but one night things get a bit challenging – a hole in the roof, a wolf who reads a sad story, and a very noisy “band” of squirrels. But the little librarian solves all of the troubles, and along with her nocturnal friends, makes sure everyone has a happy ending. 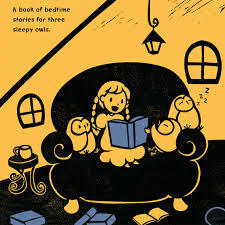 The Midnight Library is a cozy and happy book – the perfect little book about books. 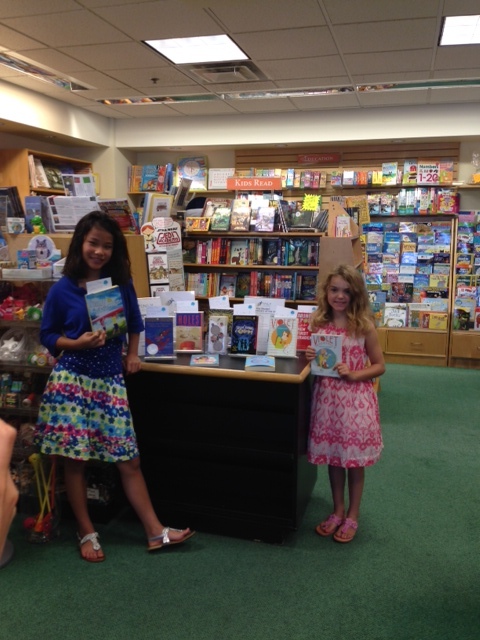 For readers who live on the South Shore….I hope you can visit Buttonwood Books and Toys over the next few days and check out the summer reading display by two Inly students. I was happy to see that they included Grace Lin’s Dumpling Days – their summer reading book! A new school year begins on Monday, and even though the kids don’t start until after Labor Day, there’s that recognizable feeling in the air. I saw Halloween decorations in two stores today. There was a sign for a pumpkin drop at the farm stand. And ads for the first NFL game are on TV. I agree with people who think the “New Year” should be celebrated in September. I always feel more of a fresh start now than I do in January when I am trudging back to work in the snow. September is about possibility! January is about being cold – at least if you live in this part of the country. A little bit of Wonderland in the front yard. 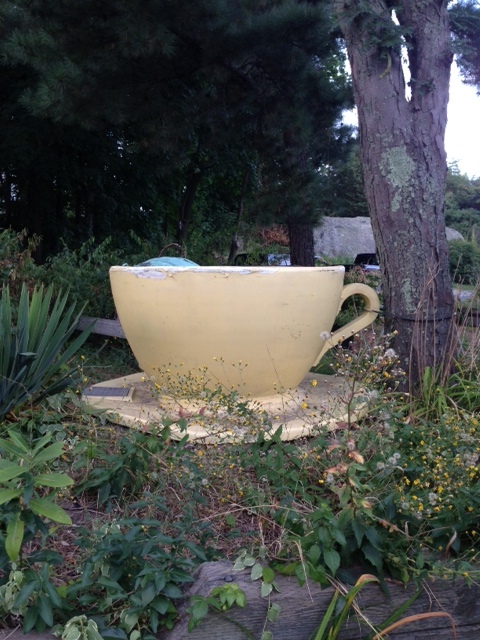 Walking through Hull with friend a few weeks ago, she pointed out this teacup from a ride that used to be in Paragon Park. 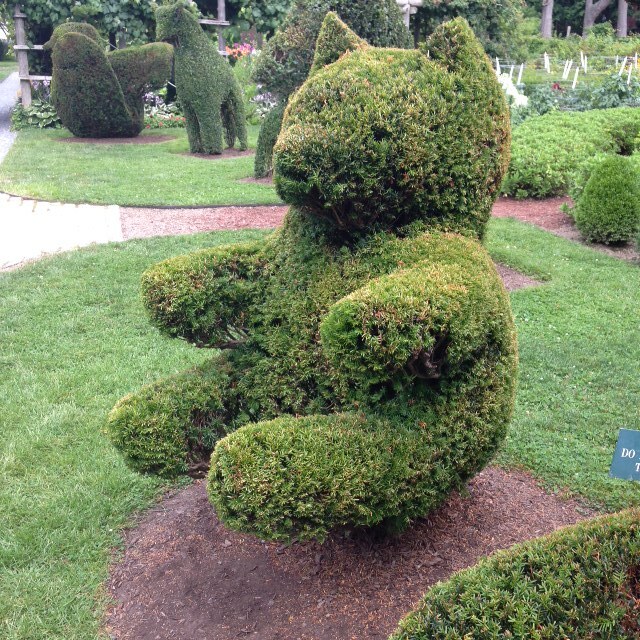 It would be fun to sit in a cup and read the tea party scene in Alice in Wonderland! And finally, a personal note. I was looking at these ducks in our backyard earlier today. It reminded me of the day, years ago, when we bought them in an antique store. My son thought we should get three of them to represent our family. Of course, they have had a special spot in our garden every year since. 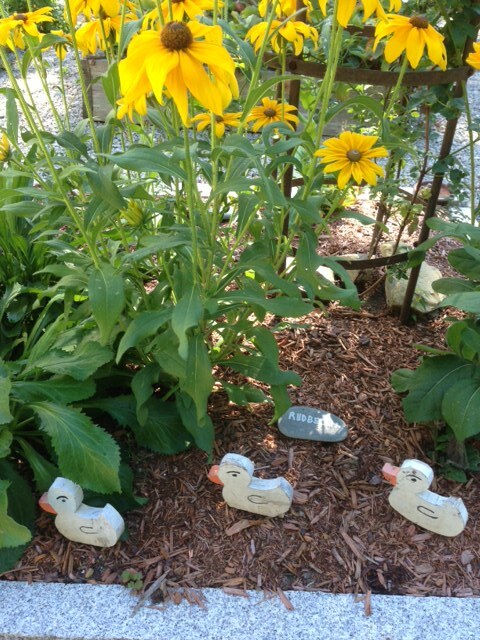 Next week my son begins college, and although the three ducks will always find their way to the garden, I know that chapter is ending and a new one is beginning. I usually look forward to that in books, wondering what will happen next. I’m excited for him, but as for looking forward to it, I’m not so sure! 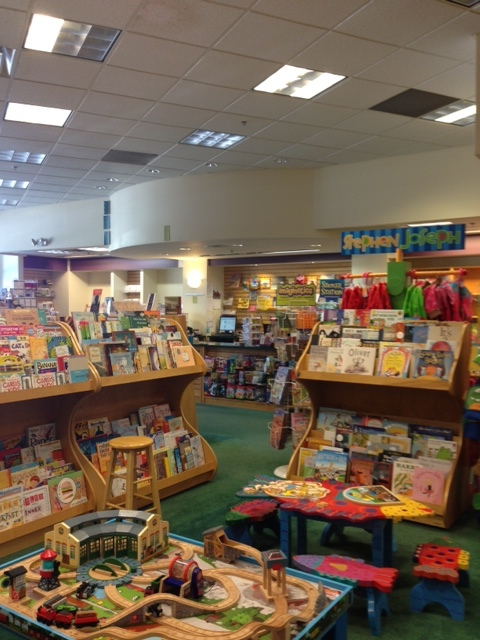 Inspired by the stillness that precedes a thunderstorm, I decided to stop at one of local independent bookstores (Buttonwood Books and Toys in Cohasset) and sit and read picture books for awhile. 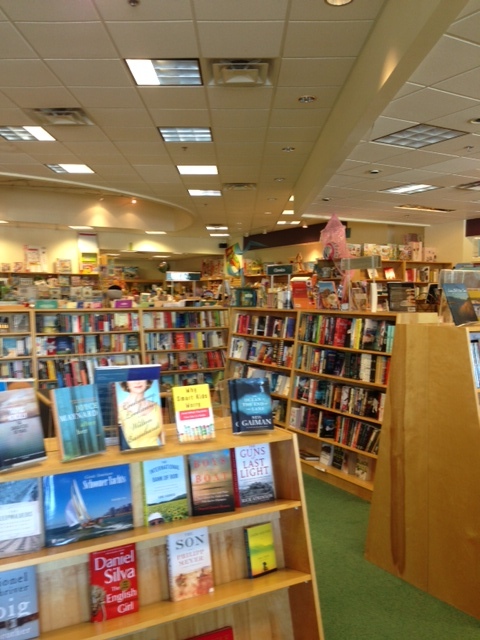 It was the perfect way to spend an hour – and the staff was patient with my browsing. 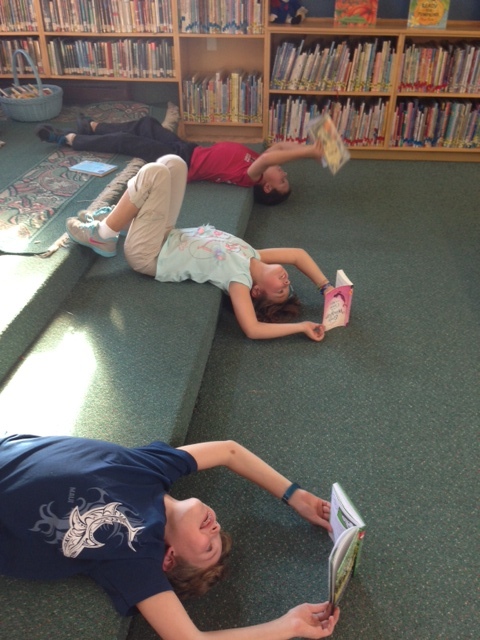 Of course, I took notes about new books to add to our school library, but I really wanted to just sit and read and look. Among the treasures I discovered was the new book by D.B. Johnson, Magritte’s Marvelous Hat. Johnson is the author of the books about Henry, the bear based on Henry David Thoreau. 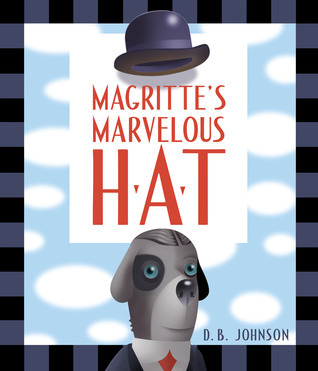 Johnson’s new picture book introduces young readers (ages 6 and over) to the work of the Belgian surrealist painter, Rene Magritte. Hold on. I can guess what some of you are thinking. Look at it first. It is a totally cool book that reminds me of how much kids miss when they stop reading picture books by the first grade. In this book, Magritte is a dog. He buys a hat that, rather than resting on his head, seems to float right above it. Every page challenges the viewer’s perception and inspires wonder. There are also four “see through” pages that change the picture. Hard to explain. You have to see it.